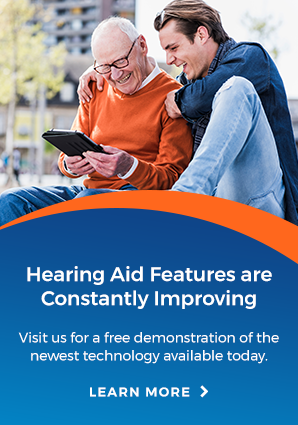 Arnold Hearing Centres is an independent, family owned and operated hearing clinic dedicated to serving the needs of the hearing impaired in Kitchener, Simcoe, Mount Forest and Guelph for over 65 years. The Arnold Hearing Experience is built on the passion and commitment of our caring and experienced staff who are dedicated to serving the needs of our hearing impaired patients through compassionate, reliable service. Whether you or a loved one are faced with hearing difficulties or impairment, we customize our services for the unique needs of each patient we see. We will do everything we can to make sure you’re not only satisfied with your hearing health care experience, but delighted throughout your journey to better hearing. A friendly greeting when you walk in the door. A commitment that you have our full professionally trained and experienced attention — we work for you. A complete hearing assessment that includes a no-obligation consultation. A hearing aid fitting that includes customizing the hearing aids to you and a thorough explanation of how to use them. A follow up to make sure you’re 100% satisfied, and a promise that we will do everything necessary until you are. A commitment of continued service for the life of your hearing aid(s). A promise that our prices will always be upfront and we will not hide any service packages or future in-office fees. Funding through 3rd party insurance programs including WSIB, DVA, ODSP etc. Custom hearing protection such as noise, swimming, musicians, etc.